Oil & Gas Industries have huge expansive facilities. Slightest negligence can create immense destruction to the infrastructure in terms of human lives and property. There is a need for a complete holistic view of the security threats across all the facilities. It is also vitally important to identify vulnerabilities at every single location so as to have safe & secure environment and an uninterrupted process. C&CC Safe Oil & Gas solution offers a complete security solution that fulfill the security needs of each part of the Oil & Gas plant including Refineries, Depots, Bottling Plants and Pipelines. Oil and Gas Refineries need electronic security systems to protect production units, storage area, tanks, pipelines, pumping stations, distribution system and transit areas in the refinery. Entry Point & Parking Lot other oil and gas production units need to be secured with surveillance solutions with video Analytics. Screening of visitors, workers and vehicles, including their cargo, have to be carried out in a quick and hassle free manner. Parking area for vehicles can be secured by installation of C&CC which keeps a track of vehicles and visitors entering the premise. Administrative Area has to be secured from trespassers. Even the movement of bona-fide visitors within the premises need to be tracked and reported in real-time. 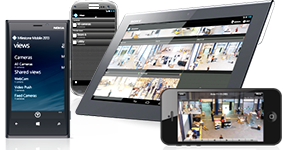 An integrated surveillance solution with access control and visitor tracking system needs to be installed.